On Monday, January 25th, in continuing efforts to send aid to Haiti, a nighttime flight piloted by John Travolta took off from Tampa, Florida carrying 50 doctors and over 7,000 pounds of medical supplies. According to the Embassy of Haiti and the Greater Washington Haiti Relief Committee, on the return trip, Travolta brought Haitian-Americans home to the United States to reunite them with their families. 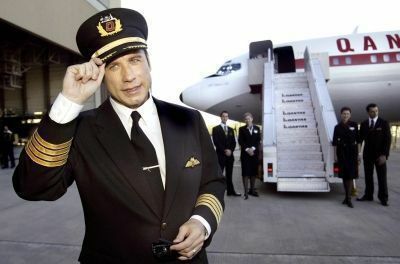 Travolta, star of the films “Saturday Night Fever,” “Grease,” “Looks Who’s Talking” and “Hairspray,” is also a well-known pilot. The actor offered the services of his own plane and provided the fuel to fly a supply plane down to Haiti to aid relief efforts following the magnitude 7.0 earthquake that struck the island on January 12, 2010. The plane carried 7,000 pounds of medical supplies, all of which were purchased with funds provided by Travolta as a donation to the relief efforts. The plane also carried much needed food and water including 4,500 meals-ready-to-eat. Also onboard the flight, organized by the Church of Scientology, were 50 doctors, including surgeons, plastic surgeons, trauma specialists, and cardiologists. Of course, Travolta is not the only famous face assisting in the relief effort. Haiti-native Wyclef Jean has been in Port-au-Prince manually helping his people. The rapper has also organized donations through YÃ©le Haiti charity to give the country the assistance it needs. Other celebrities, including, George Clooney, Rihanna, Matt Damon, Taylor Swift and even Tiger Woods, have donated their time and money through fund-raising efforts and direct donation of medical supplies.